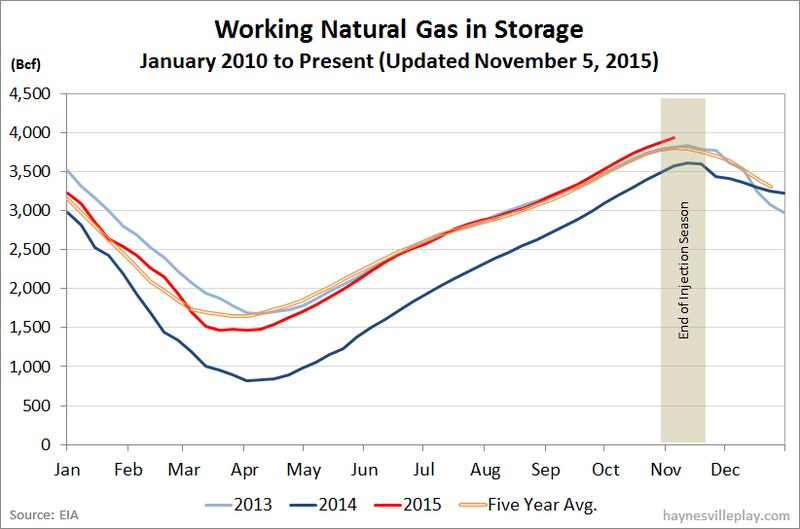 The EIA announced this morning that working gas in storage was up 52 Bcf to 3.929 Tcf. The weekly injection was 42% lower than last year (a huge +90 Bcf) and 10% below the five year average (+58 Bcf). 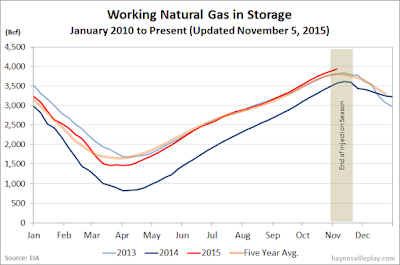 The current storage level is now 10.4% above last year (3.558 Tcf, a difference of 371 Bcf) and 3.9% higher than the five year average (3.782 Tcf). The heat in the great lakes and mid-atlantic this week means another good size injection, for this time of the year, will be reported next week. The 10 day forecast also looks to be slightly warmer than average, so a 4 Tcf storage looks very possible at this time.